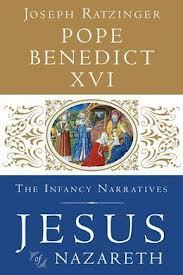 With the Foreword to the Infancy Narratives, Joseph Ratzinger Benedict XVI has completed his trilogy on Jesus of Nazareth, whom the Church professes as the one mediator between God and men (cf. 1 Tim 2:5). The first volume treats Jesus' journey “From the Baptism in the Jordan to the Transfiguration”, whereas the second leads the reader “From the Entrance into Jerusalem to the Resurrection”. It is certainly worth studying this extraordinary work of about 900 pages. Anyone who wishes to know what to expect of God and what man's situation is must pass through Jesus of Nazareth. Jesus, in fact is not merely one of the determinative figures of human history, but rather the only man to be the measure for all. Through him God came to us, in him he accepted us and revealed to every person his highest calling. It is the only name under heaven by which we shall be saved (cf. Acts, 4:12). For this reason the Church believes that “the key, the centre and the purpose of the whole of man's history” (Gaudium et Spes, n. 10) is to be found in Christ. Whenever some sceptic asks me if I truly believe that the Only-Begotten Son of God was conceived by the power of the Holy Spirit and born of the Virgin Mary without a man's contribution, I answer with conviction and without hesitation: yes, because I believe in God to whom nothing is impossible. Creation does not flee from God's hand. The eternal Word can become flesh in a Virgin. Faith in God and in his boundless possibility for action are reasonable. Conversely it would be contrary to reason to limit God's saving plan and action in history to what the human being considers possible. In his Foreword the Pope describes his book on the Infancy Narratives as “a sort of small 'antechamber' to the two earlier volumes on the figure and the message of Jesus of Nazareth”, fully aware of the theological and historical problems that arise in the study of Sacred Scripture: “the question regarding the here and now of things past is undeniably included in the task of exegesis”. Since, according to our faith, God is the author of the testimony to his salvific action, through Jesus Christ and in the Holy Spirit, ultimately scientific exegesis does not serve to elucidate what once existed but the One who is the Word, who became man and dwelled among us. Through his new book, the Pope seeks to show us what the fact that Jesus is Emmanuel, God-with-us, actually means (cf. Matthew, 1:23).